In just a few short weeks we will mark and celebrate one of the most important days in our Sisters of Mercy History – Mercy Day. 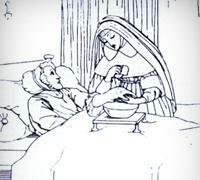 This is the day that Catherine McAuley first opened the House of Mercy in Dublin, Ireland and dedicated it to Our Lady of Mercy. It represents a significant opportunity to celebrate the special work of the Sisters of Mercy and their friends all around the world. In 1827, the house on Baggot Street in Dublin became a beacon of hope for poor young girls, providing them with empowering education, as well as offering a residence to homeless girls and women. 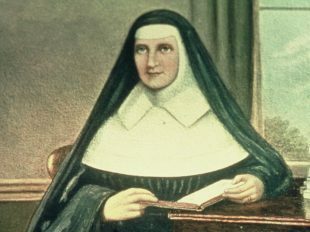 Inspired by her great work, the Archbishop of Dublin advised Catherine to establish a religious congregation, and three years later, on 12 December 1831, Catherine and two companions became the first Sisters of Mercy. In the decade that passed between the founding and her death, Catherine was able to establish a total of 14 independent foundations in Ireland and England. Needless to say, 24 September is a very special day for us all as we honour the special community of women we are part of and their commitment to gospel values and the discipleship of equals. From 24 September to 12 December, we can also celebrate ‘Good Cup of Tea Day’. Just before she died, Catherine told her Sisters they should have a good cup of tea together in their community room after she had gone. Mercy International Association asks us to hold a Good Cup of Tea Day to help raise money for works of Mercy. 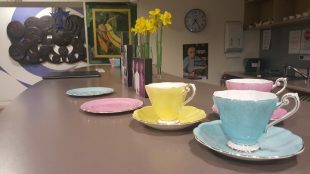 Share this special idea with your school community, friends and family and hold your own Good Cup of Tea Day – a great way to celebrate one of our most important values – hospitality.